m SG 4. 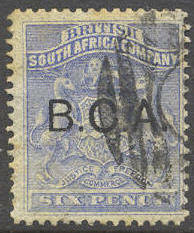 6 d Surcharge 1891. (£ 20). Y SG 6. 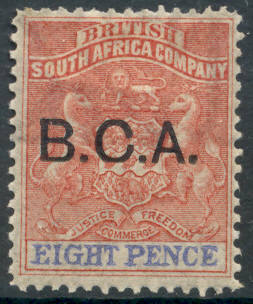 8 d surcharge 1891. (£ 15). m SG 7. 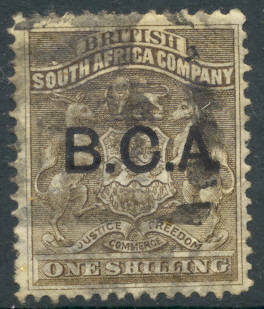 1 s surcharge 1891. (£ 11). m SG 10. 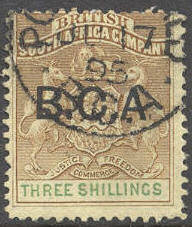 3 s Surcharge 1891. (£ 65). Y SG 12. 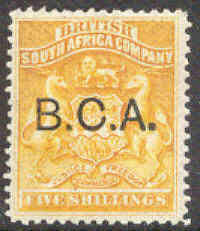 5 shillings fra South Africa Company med overtrykk "B.C.A." - letthengslet pent merke. (£ 45). m SG 23. 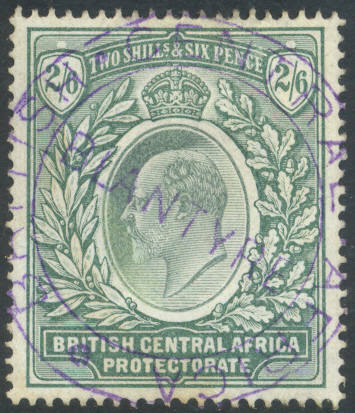 4 d Arms 1895. (£ 38). m SG 43/47. 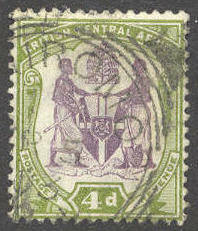 1 d to 1 s Arms 1897. (£ 16). m SG 48. 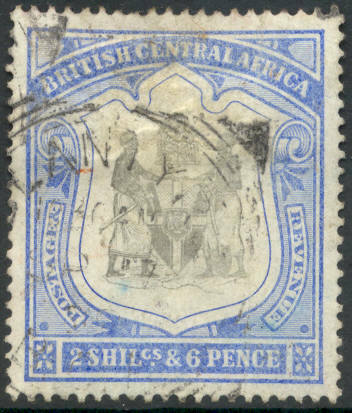 2 s 6 d Arms 1897. (£ 42). m SG 49. 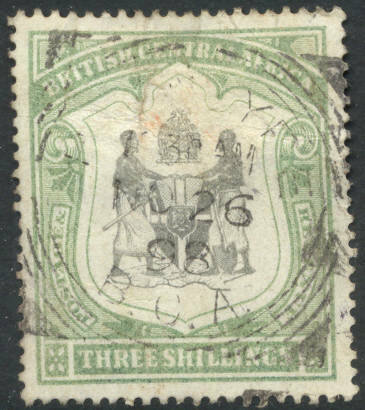 3 s Arms 1897. (£ 225). m SG 50. 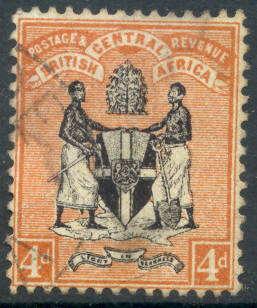 4 s Arms 1897. (£ 80). m SG 53. 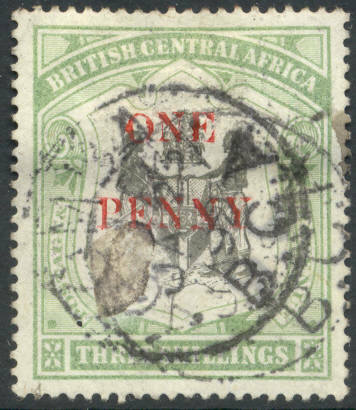 One Penny on 3 s Arms 1897. (£ 10). m SG 57 ab. 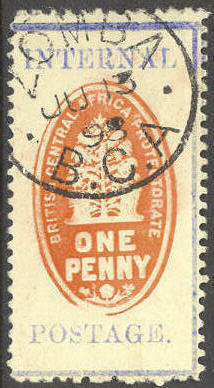 1 d Internal Postage 1898. (£ 35). 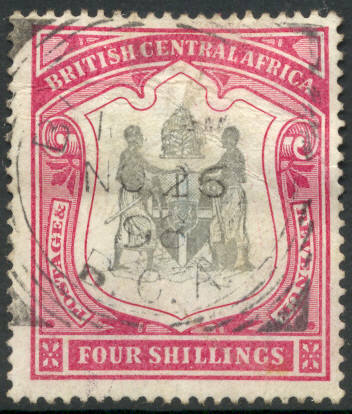 m SG 57 e. 4 d Coat of arms 1896. (£ 11). m SG 63. 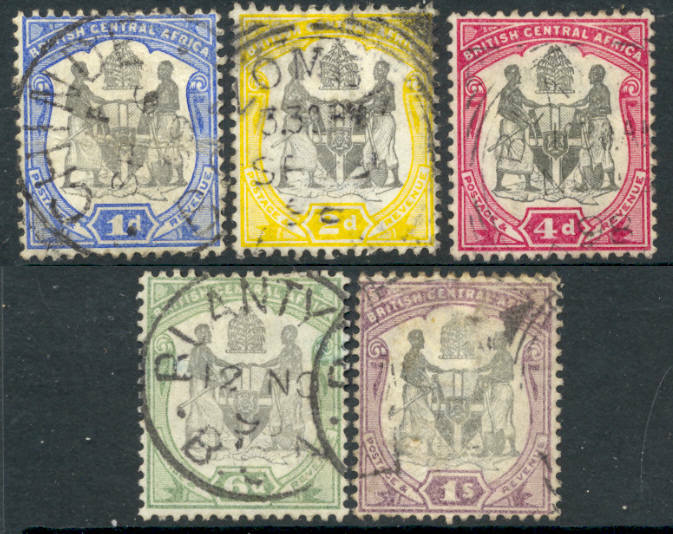 2 s 6 d Edwaerd VII 1903. (£ 75).